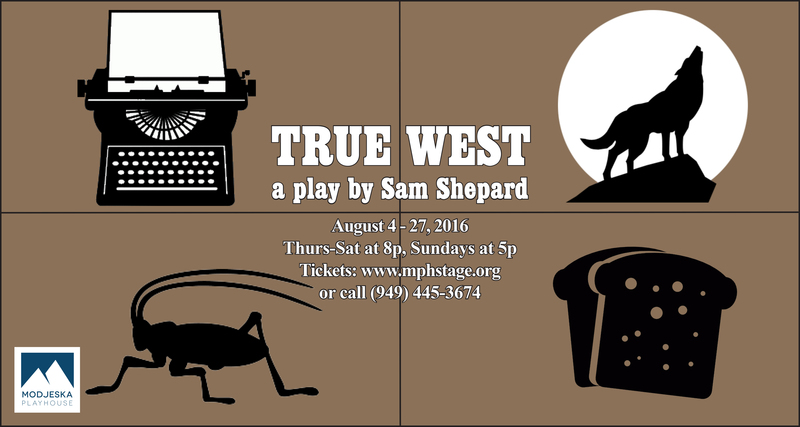 MPH brings the Sam Shepard classic True West to the stage this August! Sam Shepard’s American classic explores alternatives that might spring from the demented terrain of the California landscape. Sons of a desert dwelling alcoholic and a suburban wanderer clash over a film script. Austin, the achiever, is working on a script he has sold to producer Saul Kimmer when Lee, a demented petty thief, drops in. He pitches his own idea for a movie to Kimmer, who then wants Austin to junk his bleak, modern love story and write Lee’s trashy Western tale. The play was most recently revived on Broadway in 2000 at New York’s Circle in the Square, where Philip Seymour Hoffman and John C. Reilly alternated playing the roles of the brothers. “‘True West’ has … arguably become Shepard’s signature piece, the leanest, most pointed of his full-length works.” – David Krasner, A Companion to Twentieth Century American Drama. True West premiered at the Magic Theatre in San Franciso on July 10, 1980. Discounted PREVIEW NIGHT Thursday, Aug. 4 at 8 p.m.
Times: Thurs-Sat at 8 p.m., Sun at 5 p.m.